More than 1,000 people have signed a petition calling for the county council to reconsider plans to close Willingdon and Langney libraries. 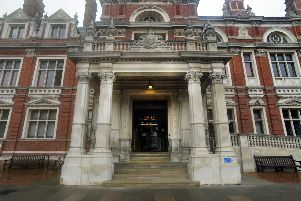 Last month East Sussex County Council (ESCC) announced it would begin consultation on the closure of seven libraries across East Sussex. As part of the campaign against the closure proposals, Stephen Lloyd MP has been asking residents to join him in signing a petition urging County Hall to reconsider their decision. He said, “Having spoken to many local people to seek their views on the library closure, I am gratified by the overwhelming support our campaign has received. “In addition, many shops and businesses across Willingdon and Langney, from Farmlands Avenue and the Triangle to Langney Shopping Centre, have pledged their support, which shows just how important these libraries are to our community. “Libraries, like schools and GP surgeries, are the very epicentre of our community.